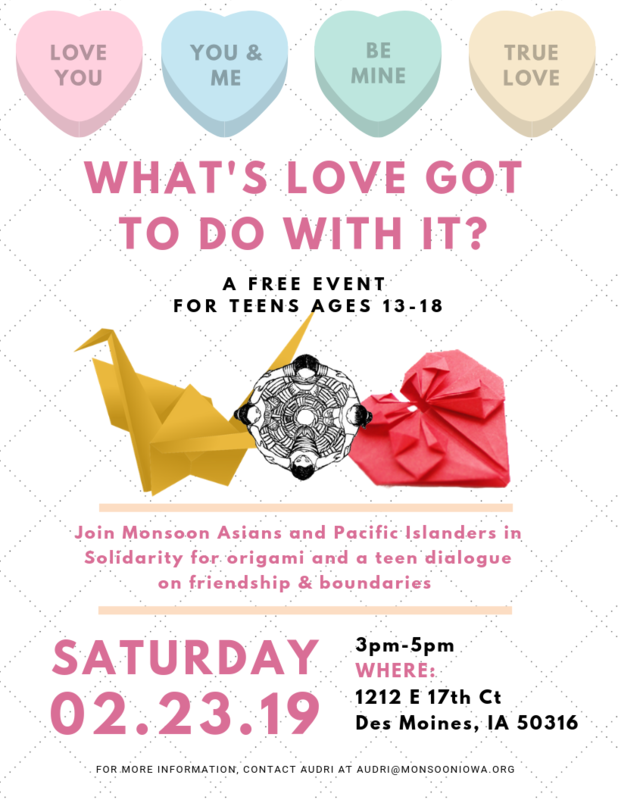 Join Monsoon’s Violence Prevention Program in a workshop for Teen Dating Violence Awareness Month called What’s Love Got to Do With It: A Teen Dialogue on Friendship & Boundaries. 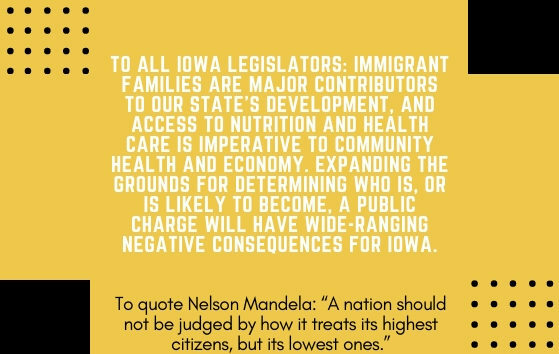 The event will take place on Saturday, February 23 from 3p-5p at Monsoon’s Community Healing Space in Des Moines. It is free and open to teens ages 13-18 only! The Violence Prevention Program will give a short presentation and then facilitate a dialogue on teen friendship & boundary issues. Afterwards, a guest art teacher will give a tutorial on how to make origami. Snacks and light refreshments will be provided. Due to spacing, this event will be limited to the first 20 participants. Please register below.